In addition to the exhibition of the cultural and historical heritage of the Crimean Tatar people a conference on the Crimea will be held in the framework of the PACE summer session. On June 28-29 the Day of Crimea is held in the Parliamentary Assembly of the Council of Europe. In particular, the exhibition of the cultural and historical heritage of the Crimean Tatar people was launched. The Commissioner of the President of Ukraine for the Affairs of Crimean Tatars, People's Deputy of Ukraine, Crimean Tatars leader Mustafa Dzhemilev took part in ceremonial opening of the exhibition. Members of PACE national delegations, judges and ECHR secretaries, CE leadership, representatives of the diplomatic corps at the Council of Europe, lawyers conducting cases of human rights violations in the occupied Crimea, Ukrainian human rights defenders, representatives of international organizations were among the invited guests. Members of the Turkish delegation to PACE also visited the exhibition. 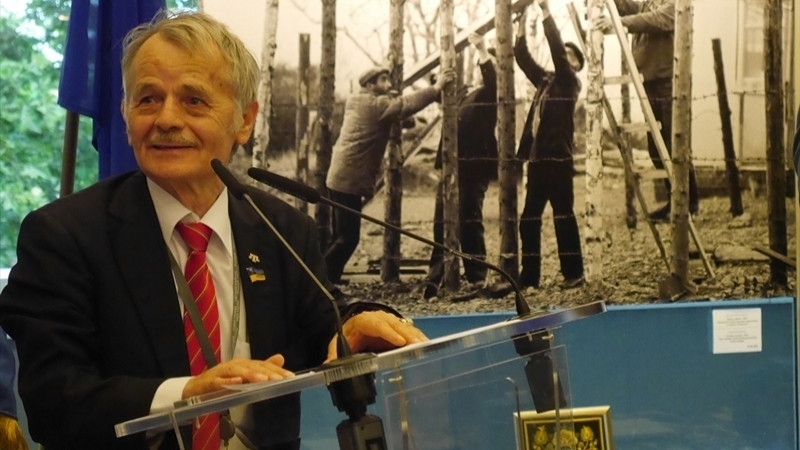 During the genocide of the Crimean Tatar People in 1944 almost entire cultural heritage was destroyed, Mustafa Dzhemilev reported at the ceremonial opening. “It is a matter of cultural genocide. After the collapse of the Soviet Union our people made great efforts to restore their cultural values that had been destroyed during the genocide," Dzhemilev stressed. “Crimea belongs to Ukraine and all public structures must accept this”. The exhibition presents objects of the historical heritage of the Crimean Tatar people, including handworks, photographs and commemorative items. Within the framework of the PACE summer session a conference on the Crimea will be held. Earlier QHA reported that Days of the Crimea in PACE had been organized by Vice-President of the PACE, People's Deputy of Ukraine Georgy Logvinsky with the support of the Mejlis of the Crimean Tatar People and human rights organizations.